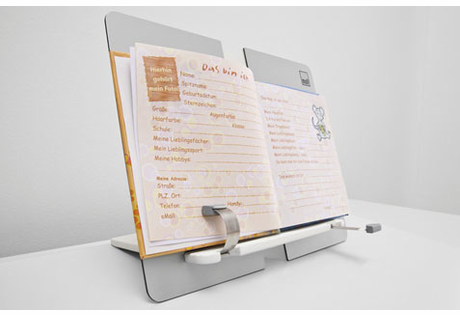 The Moll Foldable Book Holder is neat design in a small package! The book holder folds out so it can stand up on the desk freely, or be clipped onto the back of the desk. 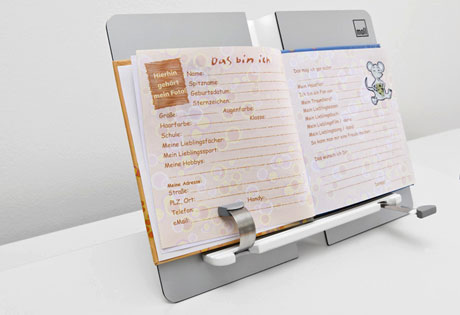 This allows for proper visibility on reading material, worksheets, and whatever else you may be working with. Metal prongs extend to pin papers to the book holder, to prevent papers from falling off the holder. 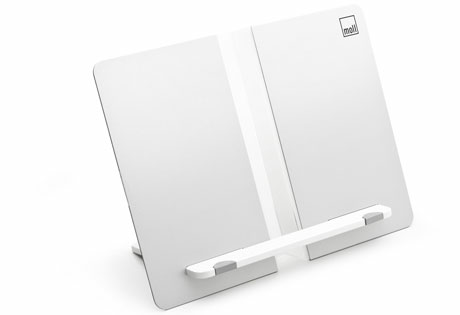 Dimensions (in inches): 10.63" x 6.69" x .98"
We received this foldable book holder as part of our Moll desk. I was skeptical of it's usefulness at first because I have purchased other book holders in the past and they were never very good. This book holder is different! First of all, it can hold many different sizes of book and doesn't become unbalanced when reading at the beginning/end of a thick book. The spring tension feet at the bottom of the holder provide just enough tension to hold the page in place if reading outside in the breeze, but not so much tension that it is hard to turn pages. 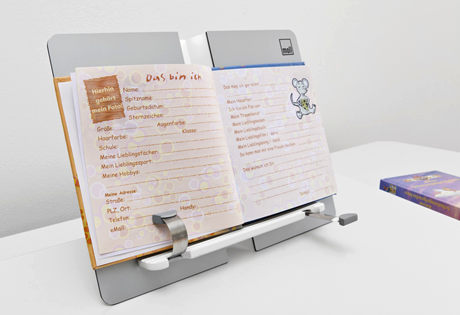 The holder clips onto the desk if you are working and want to keep it in one place, or you can unclip it and fold it flat to take along with you - super portable. 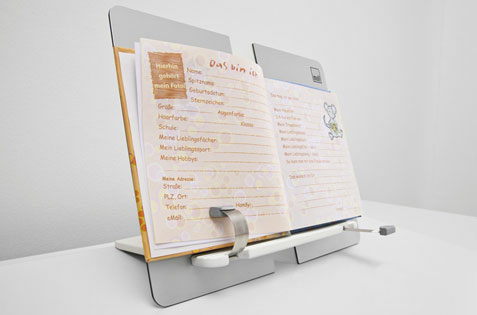 My child regularly uses the book holder for school work, and to keep reading while having an afternoon snack. Highly recommend! I have this along with the desk. Works well but a little pricy.